This year, Tableau worked with Moss Adams, an independent Certified Public Accounting firm, to perform an in-depth audit of the control objectives and activities for Tableau Online. 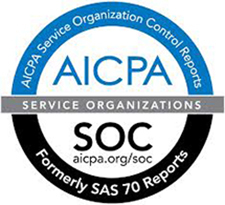 Tableau is proud to announce that the control procedures for the Tableau Online service have been verified in a SOC 2 Type I report prepared in accordance with AT Section 101, reporting on controls at a service organization relevant to security and availability and the International Standard on Assurance Engagements (ISAE) No. 3402. The SOC 2 report includes management's assertion of Tableau’s systems and the auditors’ opinions on the fairness of descriptions, suitability of design, and operating effectiveness of the controls. While Tableau Online has always held itself to extremely high standards, the successful completion of this third-party audit provides Tableau customers assurances that appropriate controls and practices are in place and demonstrates Tableau's ongoing commitment to providing customers a secure and reliable service. This achievement is the newest addition to Tableau’s other certifications. Earlier this year, Tableau self-certified for compliance with the U.S.–EU and U.S.-Swiss Safe Harbor Framework regarding the collection, use and retention of personal data from the European Union member countries and Switzerland. Tableau Online customers can always get up to the minute service status information and notifications by visiting our site trust.tableau.com. Here we show how we have been performing over the last 30 days. Customers can receive updates through an available RSS feed. Administrators of Tableau Online sites automatically receive proactive notifications about scheduled and unscheduled outages. By maintaining transparency with our customers, we hope to not only demonstrate our outstanding service levels, but also ensure that all of our customers are consistently successful using our service. Staying current on security developments and best practices is one of our highest priorities. To read more, check out our whitepapers Tableau Online Security in the Cloud and Tableau Secure Software Development. Or check out Tableau Online to learn more about cloud BI. And as always, feel free to leave comments or questions below.